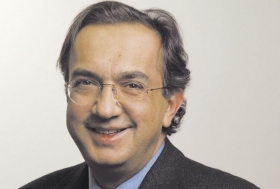 Fiat CEO Marchionne says he's committed to Chrysler deal. TURIN -- Fiat S.p.A. will not walk away from its plan to buy bankrupt Chrysler LLC, CEO Sergio Marchionne told Bloomberg after a U.S. court delay threw the deal into doubt. "We would never walk away," Marchionne said when asked by Bloomberg whether Fiat would pull out of the deal if it is not completed by a June 15 deadline. "Never." Marchionne's comments came after the U.S. Supreme Court on Monday put a temporary freeze on the sale of Chrysler to a group led by Fiat. Both Chrysler and the Obama administration have said a long delay could kill the deal and end up with Chrysler's liquidation. Fiat has the option to pull out of the deal after June 15 if Chrysler's recovery plan has not been fully approved. A Fiat spokesman in Turin on Tuesday confirmed that the Italian automaker still plans to take over Chrysler even if the deal is not completed by the deadline. The spokesman said Fiat would have no further comment on the Supreme Court decision until it had more information about it. On Monday, Supreme Court justice Ruth Bader Ginsburg said a bankruptcy judge's orders last week allowing the sale "are stayed pending further order" by her or by the Supreme Court. Many experts interpreted the action as giving the top court more time to weigh its response to a request by three Indiana pension funds and others for a stay of the deal. The pension funds argued that the sale of Chrysler unlawfully rewards unsecured creditors ahead of secured lenders and amounts to an illegal reorganization plan. They claim that the U.S. Treasury Department overstepped its legal authority by using financial bailout funds for Chrysler when Congress intended the money for banks. A U.S. bankruptcy judge had approved the $2 billion sale of Chrysler's assets to a new company that will be 68 percent controlled by a health care trust aligned with the United Auto Workers on June 1. Fiat will control an initial 20 percent, and the U.S. and Canadian governments will control the other 12 percent.